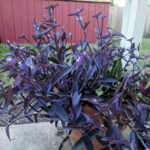 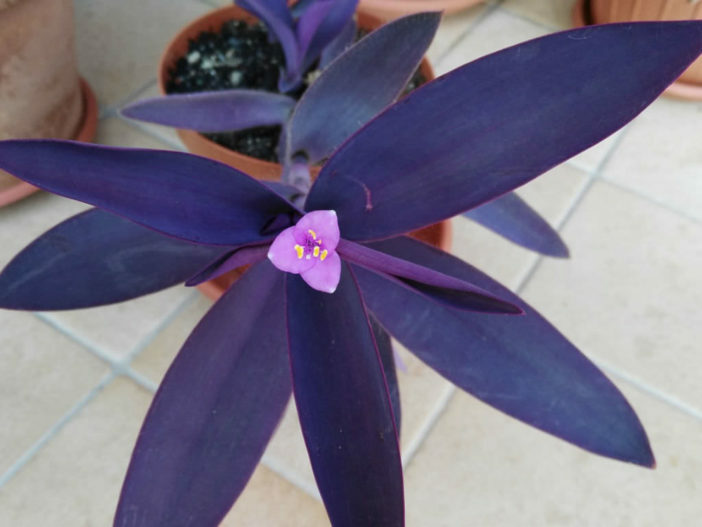 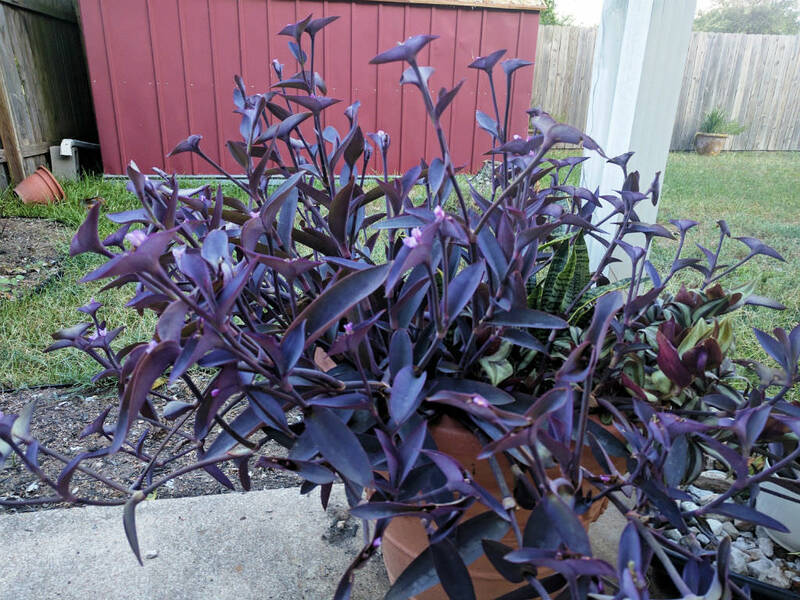 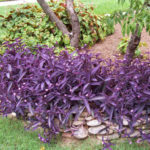 Tradescantia pallida ‘Purpurea’ is a trailing, evergreen perennial, up to 8 inches (20 cm) tall, with purple, succulent stems and narrowly elliptic, purplish, glaucous green leaves up to 6 inches (15 cm) long. 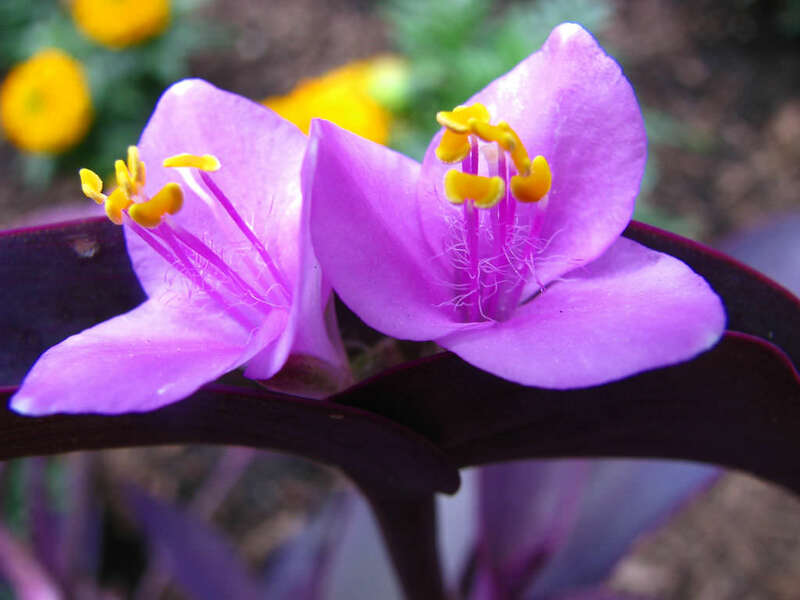 The terminal, bright pink, 3-petalled flowers are up to 1.2 inches (3 cm) wide. 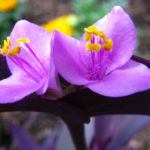 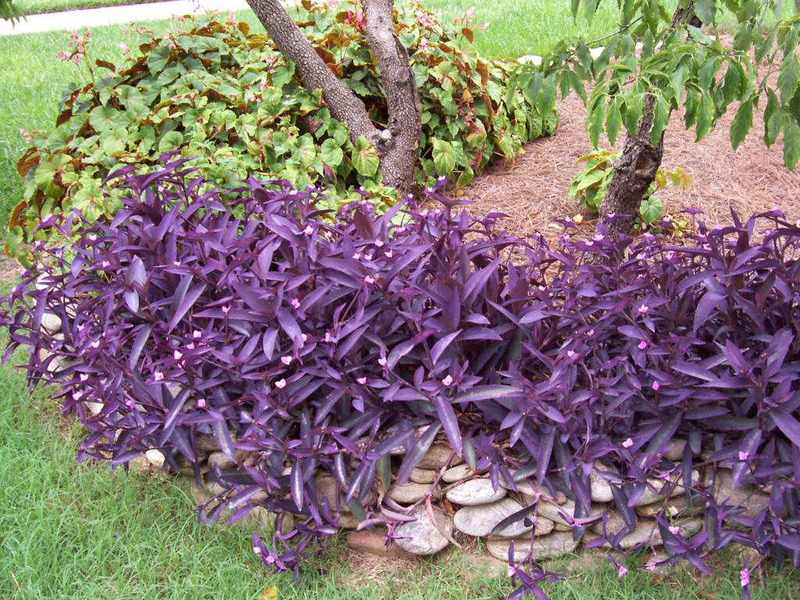 Tradescantia pallida ‘Purpurea’ is a cultivar of Tradescantia pallida with purple foliage that has gained the Royal Horticultural Society’s Award of Garden Merit.